Amazon is looking to cash in on the surprising success of its Echo digital home assistant as the company is reportedly building a premieum new model of the device that will come in larger size and feature a touchscreen, Bloomberg reports. According to two undisclosed sources “familiar with the matter,” the upcoming supersized Echo will abandon its standard cylindrical body for a new upwards-tilted shape, specifically designed to accomodate the 7-inch display. 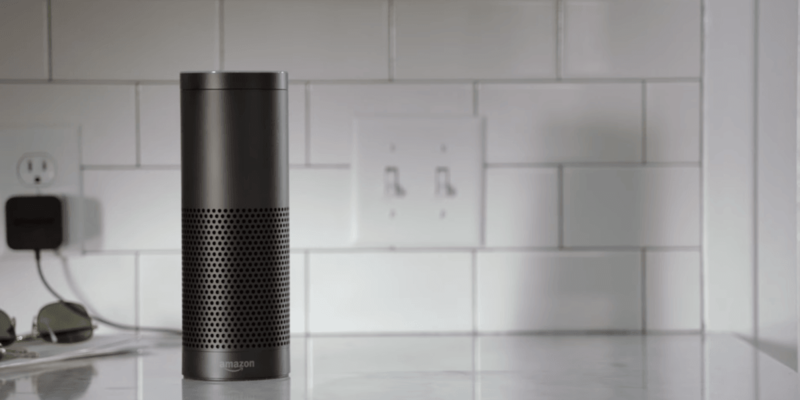 The sources further said that implementing touchscreen interface to the smart speaker will make it easier for owners to access content like weather forecasts, calendar appointments and news. With Google and Apple in the race, the competition in the home assistant market is quickly heating up. Google recently released its own Google Home smart speaker and Apple is said to be working on a similar device that will be powered by Siri. It’ll be interesting to see whether Amazon can fend off the competition with the larger-sized Echo. Details about the release of the pimped-up smart speaker are scarce, but Amazon could announce the device as early as the first quarter of 2017.